As London Fashion Week drew to a close last week, I was invited to the Bloggers Love Gifting Lounge, hosted at the Penthouse in Leicester Square, celebrating what had been a great LFW. I went with Abi, who was looking forward to finding out about new brands as much as I was. There was a huge number of brands at the event, covering all sorts from beauty to fashion to lifestyle, with catwalks, but there were two accessory brands that really stood out for me. One of my favourites was Cataleya, a British brand who specialise in leather bags. I loved the bags that were on show. 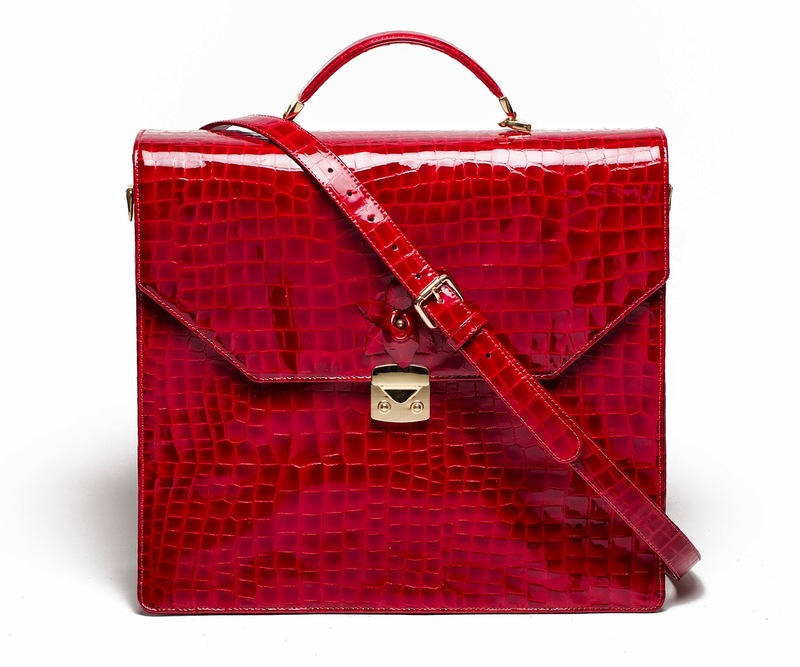 But the one that really caught my eye was the red leather bag, named after the brand, Cataleya. The shade of red really stood out for me and the bag is so practical, strong yet stylish. For example, it can fit an Apple Mac- how great! They stock it in other colours, and I think in blue would look just as stunning. Visit their website for some online bag shopping! The next brand I loved was Telles. Telles sell scarves, and let me just tell you, the scarves are beautiful; they are like wearing pieces of artwork. I discovered that the lady behind Telles is an artist and the process for designing the scarves' prints involves painting, taking photos and doing some digital magic on them. The designs are so unique and full of so many vibrant colours. Girls, I just can't get enough of the images on the website too! 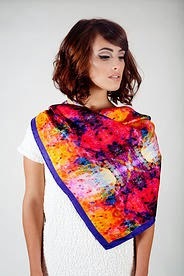 Get your hands on some gorgeous scarves this autumn from Telles. If you're after a tan, there was also Montana Tan. They sell quick self tan sprays and mousses.Whether you're fair skinned or brown, like moi, they apparently leave you with the same golden tan by the professionals, but in thhe comfort of your own home and drying very quickly. The hair & beauty salon, Rush, gifted me with some GHD Total Volume Foam an L'Oreal Wild Stylers Next Day Hair powder. I've only used the GHD Total Volume Foam once and I really liked it. People say those with thick hair don't need to use this kind of product, but I like to use it for a little volumising and extra 'oomph'. I haven't had a chance to try out the L'Oreal Wild Stylers Next Day Hair powder but it looks quite exciting. I think I'll do another post later on and let you know what my thoughts are on these products. The event was really great, and it being my first bloggers event, it was really nice to not only meet brands but also meet fellow bloggers. It definitely gave me lots of inspiration.